Improved flexibility and balance are two of the most basic benefits of yoga. If you go to a yoga class for the first time, do not expect miracles – you will not be able to do a headstand or even touch your toes – but as you continue practicing yoga you will notice a gradual loosening and the seemingly impossible will become possible, as any niggling aches and pains will also start to lessen and disappear, your muscle strength will increase, you will become more flexible and your balance will improve. Yoga is well known for its mental benefits, with its ability to ease feelings of stress and anxiety and promote relaxation. Multiple studies have shown the link between practicing yoga and a decrease in the release of cortisol – the primary stress hormone, feelings of anxiety, depression, fatigue and symptoms of PTSD (Post Traumatic Stress Disorder). 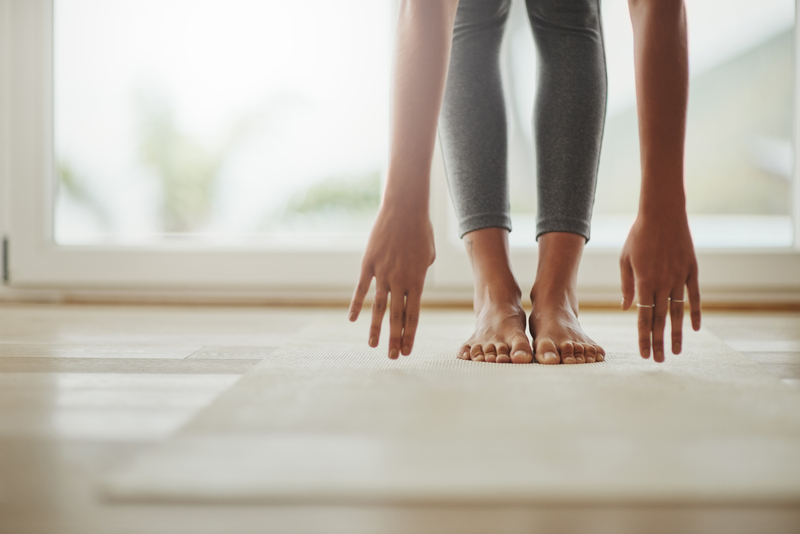 Yoga practice focuses on the importance of being present in the moment and locating a sense of inner peace, both of which help feelings of anxiety. When used alone or along with other methods of stress relief (meditation, mindfulness practice), yoga can be a powerful method to keep stress and anxiety in check. When practicing yoga, you take your joints through their full range of motion. This can help to prevent the onset of degenerative arthritis. Furthermore, any form of weight-bearing exercise strengthens your bones and helps ward off the onset of osteoporosis. Many yoga positions require you to lift your own weight. Positions such as Downward and Upward Facing Dog help to strengthen the bones in your arms – which are particularly vulnerable to osteoporotic fractures. The effect of yoga on lowering cortisol levels can also help to keep calcium in the bones (dem bones dem bones need.. - you get the idea). Studies show that incorporating yoga into your routine could help better the quality of your sleep. Yoga has been shown to increase the release of melatonin – the hormone that regulates sleep and wakefulness. You will hear your yoga instructor talk about “opening your heart” and there is a reason behind this. Yoga practice can help reduce high blood pressure, lower bad cholesterol and stress levels – all of which are risk factors for heart disease. Performing savasana (commonly known as “corpse pose”) is associated with greater improvements in blood pressure levels when compared to simply lying on the couch. Yoga also – simply – gets your blood flowing. The relaxation exercises you practice during yoga help your circulation, particularly in your hands and feet. Practicing yoga also helps more oxygen to get to your cells. “Inverted” poses, such as headstands, handstands and shoulderstands assist venous blood from the legs and pelvis to flow back to the heart. When it gets to the heart it is pumped to the lungs to be freshly oxygenated. Yoga also thins the blood by making platelets less sticky and cutting the level of clot-promoting proteins. Thus, this can result in a decrease in heart attacks and strokes. Studies show that 20 minutes of yoga improves the brain’s ability to quickly and accurately process information. While most exercise gives you the choice of either zoning in or zoning out, yoga encourages you to return to the present and pay attention. This kind of mindful awareness has been associated with growth in the region of the brain responsible for executive function, working memory and attention. Studies have also found that regular practice of yoga improves co-ordination, reaction time, memory and even IQ scores. Yoga is becoming increasingly common as an alternative or additional type of therapy to improve quality of life for many people. Studies have also shown the effects of yoga on quality of life specifically in cancer patients. When following women with breast cancer undergoing chemotherapy, yoga was found to decrease symptoms of chemotherapy such as nausea and vomiting, as well as experiencing less pain and fatigue, while also improving overall quality of life, levels of invigoration, acceptance and relaxation. Other studies have found that yoga may improve quality of sleep, enhance spiritual well-being, improve social function and reduce symptoms of anxiety and depression in cancer patients. Research from the University of Washington show that individuals who regularly practice yoga tend to eat more mindfully compared to those who don’t, or those who engage in other types of exercise. Jamie Zimmerman, physician and meditation instructor, explains that yoga encourages you to focus on your breathing, as well as the sensations in your body, thus training your brain to pay more attention to sensations of being hungry and being full. The result of this is that you see food as fuel – decreasing your likelihood to comfort eat (cue Bridget Jones scene), stuffing yourself silly and resulting food related guilt. If you are interested in attending a yoga class be sure to search for one in your area, simply by typing “yoga near me” into Google – there are tonnes out there to choose from. Start with beginner’s yoga and build from there. Alternatively, if you would prefer to practice yoga in the comfort of your own home there are some great yoga tutorials online, particularly Yoga with Adrienne who offers a 30 day starter programme as well as other more specific tutorials depending on what you are hoping to get from your yoga practice.